An action-oriented Executive coach, Master Facilitator, Speaker and consultant, with expertise in leadership, business and communication skills, Pamela brings a wealth of experience gained from years in training, senior level management, business and professional development. 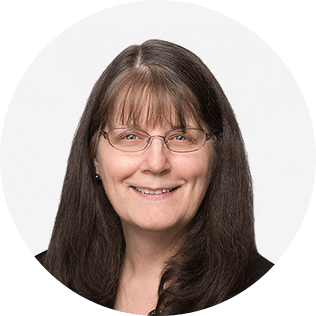 A seasoned trainer and facilitator, Pamela has a demonstrated 25-year history of working in the professional training and coaching industry. In service of transformational culture change and evolution, she is a pioneer in the field of Coaching, assisting in shaping what we know coaching to be today. A co-creator of the International Coach Federation (ICF) coaching competencies for this profession, Pamela also significantly contributed to the design, standards and systems development for coaching and coach training in multicultural, virtual training environments that span the globe. As a facilitator, speaker and trainer, she has led hundreds of courses and coached thousands of hours, working with individuals in a variety of cultures, regions and business contexts. Pamela has designed and managed virtual business systems and communications process for a global training organization. As the Director of Training for Coach U & Corporate Coach U, Inc. she also has served as a mentor coach and lead trainer of their coaching development programs. She has coached Director and C level executives, managers, educators and business owners globally in both the public and private sectors, to achieve higher levels of personal and professional success. Sample results include increased profitability, improved performance, enhanced communication skills and strengthened relationships. Pamela partnered with leaders in several international Health Authorities to enhance patient, doctor, nurses and administrator communication, resulting in a lowered rate of errors and oversights in the workplace. Current work includes successfully supporting ongoing culture change strategy in a large US government department. Pamela continues to work with multiple organizations in this fashion to enhance communication, employee engagement, retention and productivity. A dedicated explorer that actively lives in a state of ‘curious not knowing’, Pamela is constantly creating, expanding and reaching for new understanding and learning. She is also a licensed hypnotist, holds a 2nd Degree Black Belt in Northern Style ShaoLin Kung Fu, plays the harp and loves spending time with her family and Beagles! In Coaching or using a Coach Approach to relating, Curiosity is a foundational element in effecting the change that clients desire. Change does not happen without new thinking, new perspectives, new learning and challenging what is so. All of this is part and parcel of ‘being curious’. This conversation will explore how imperative it is for coaches to be experts at being and igniting curiosity in self and others. It will touch upon what can happen when we reignite and grow our own curiosity muscles. This will lay a foundation for the other elements of transformation that will be explored in the full conference offering of: Coaching Reimagined: Five Principles of Transforming Reality. 1. Understanding their own level of curiosity and how it influences perspectives and possibilities. 2. The importance of ‘not-knowing’ in coaching. 3. Practices to enhance curiosity in the Self-as-Coach. What if coaching were a powerfully disruptive force to facilitate change on this planet? As a profession, we are long overdue for an update of our interpretations and stories of what it means to be and to coach human beings at this time on the planet. We need to disrupt and challenge the myths, assumptions and beliefs that we live and coach by. We must further develop our own awareness and consciousness to change and expand our own thinking, habits, biases and practices. This conversation will re-imagine coaching and touch on Five Principle elements that will support in challenging our boundaries as coaches, disrupting the status quo to influence transformational and sustainable change. 1. Your truth is not THE truth & your perception of reality only belongs to you. 2. We are connected in ways that are not always obvious. 3. Our biases and beliefs can be an obstacle to our impact as coaches.